Peyton Place in space? A little. But while scandal is afoot in Challenger Park, life is mostly as complicated as it is everywhere else. The moral: There are things worth fighting for and people worth loving. Lucy Kincheloe is not happy. 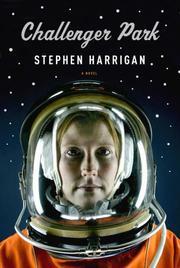 She’s a brilliant young woman who’s made the slate as an astronaut and will soon be bound for the outer limits: “She had not yet flown in space, but she lived, had always lived, for the day when her rational, achieving mind would earn her a mystical departure from the earth.” Yet she has two young children, one ill; her days are spent shuttling the kids to school and practice, while her husband, a fellow astronaut who’s in space as her story begins, might as well be living on Pluto, so withdrawn has he become. What’s a space cadet to do? Well, Harrigan (Gates of the Alamo, 2000) posits, an affair might be nice, and so Lucy finds comfort in the arms of mission-control jock Walt Womack, who’s been steadily sliding into geezerdom, eating twice a week at Luby’s and having less and less contact with his fellow humans. Walt and Lucy are Mars and Venus; they come to love each other, but their romance is doomed. Too bad, too, for they’re the most decent people in all of Houston, save, perhaps, for Harrigan’s perfectly realized vision of the up-to-date priest who is given to pondering what might have happened to the world had Leslie Nielsen played the part of Messala in Ben-Hur. Everything about the book is decent, too, though its pacing sometimes suggests the slo-mo pinwheeling-space-station longueurs of 2001. Lacks the manic, macho intensity of other astronaut tales (think Space Cowboys or The Right Stuff), giving it a comparatively staid—but much more mature—feel.